My husband loves Mexican food, so we have Mexican meal at least once a week. 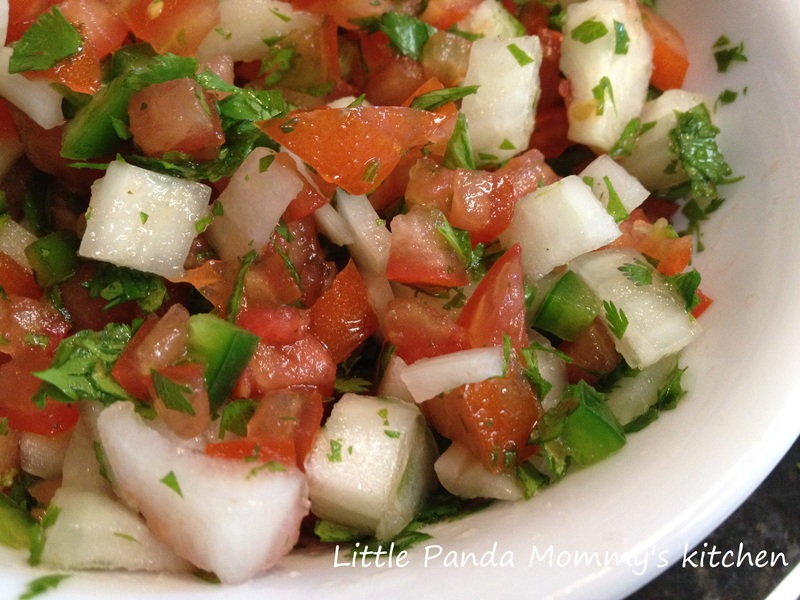 Most of the time, we have tacos or quesadilla served with homemade pico de gallo, so fresh and delicious. This recipe requires no cooking skill at all, anyone can get it right. Apart from using it as a condiment, you can serve it with crackers, taco chips or even just eat it like salad ( I do that a lot). This is a fast, easy and healthy snack in no time at all. 1. Mix all the ingredients together, add salt and pepper to taste. This entry was posted in Appetizer, Condiment Recipes 醬料配菜食譜, Easy Cooking, No Cook Recipes and tagged Appetizer, Condiment Recipes, easy cook, Healthy Eat, Homemade Pico De Gallo Recipe, No Cook Recipes. Bookmark the permalink.